Discussion in 'Chainsaw' started by cpttimerestraint, Dec 30, 2018. I am in the process of getting an old super 2 up and running. I am having trouble finding a replacement for the rubber valve that goes on the top of the gas tank. Did anyone have any suggestions on where to find it? Also check to see if duckbill valve is present in oil tank, it is needed for the oiler to work. If not buy 2. Do they use the same one? I am looking for the carb kit now. It is a Zama h17 29g. I can't find that one listed on the Zama rebuild list. Put the carb id into the search engine on ebay or Amazon. I`m really sure that this is not the model description of the carburetor. Zama has no model named like this. I see a Zama C2S-H5 listed in the Homelite Super 2 IPL. It should use the RB-16 rebuild kit. 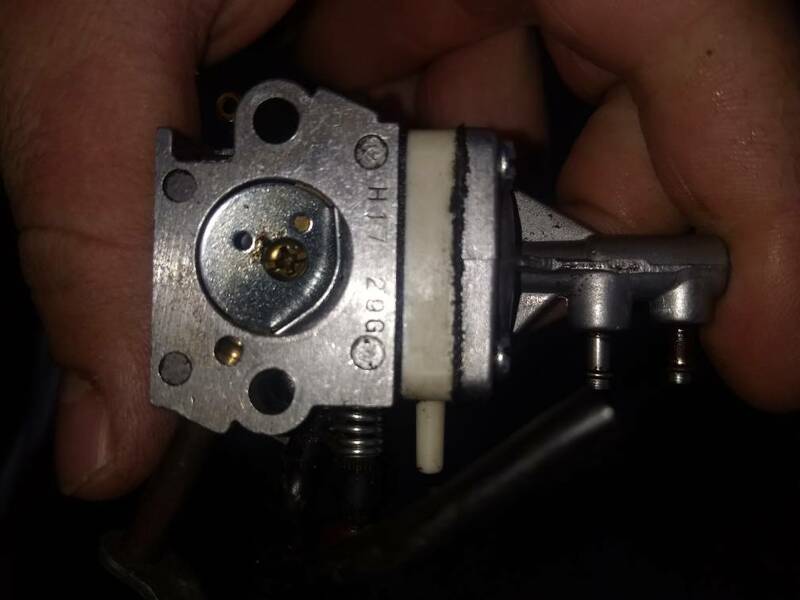 Here are pictures of the markings on the carb. It looks like a C1Q H17 is a Zama carb that uses a rb46 kit. Would that make sense based on the markings? Also, here is a picture of the saw semi assembled before I started taking it apart. Is carb cleaner and a rag the best way to clean the carbon in the top of the piston and inside the cylinder? That could be possible, based on the markings. The IPL lists the C2S-H5. But it`s possible that this carburetor also fits your saw. 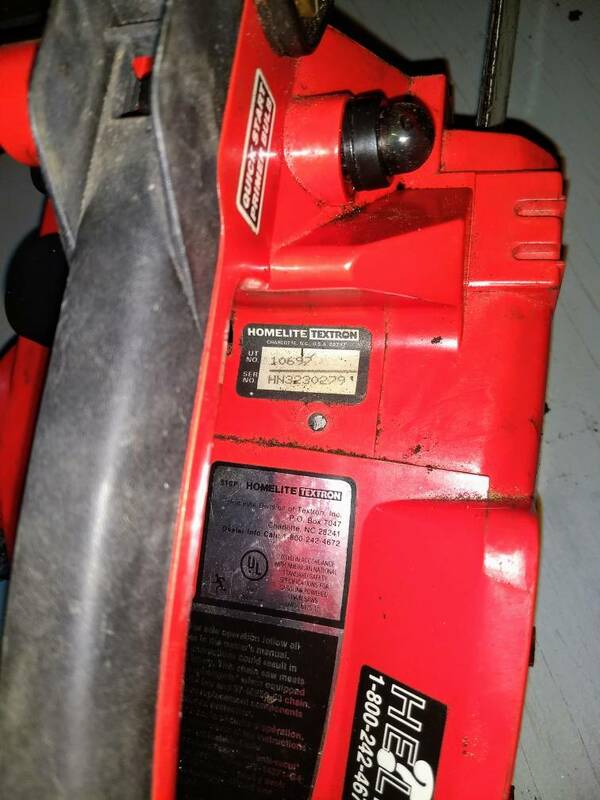 Normally the carb in your pic is used on the Homelite 200 chainsaw (web search information). What kind of oil goes on the filter? I got a can of K&N around somewhere, but that seems too sticky. So the saw runs, but dies when I turn the choke of so I think I need to rebuild the carb. There is a rebuild kit and a gasket kit. They look pretty similar. Did anyone know the difference between them? The gasket kit contains only the gaskets needed for a carb cleaning, the rebuild kit contains the metal parts also. Since the carb is around 40 years old I'd go the rebuild. Be sure and clean it while apart or you're wasting your time with the rebuild. I hope your carb has both the hi and lo screws as well as the idle screw. In case you didn't do it yet, be sure to check that duckbill valve in the oil tank. 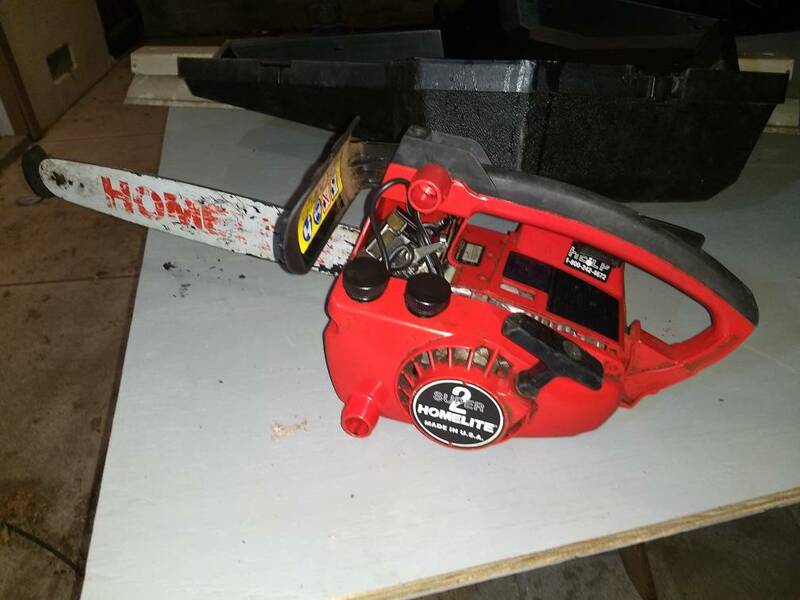 It will totally mess up the way the saw runs if that valve is missing or open. 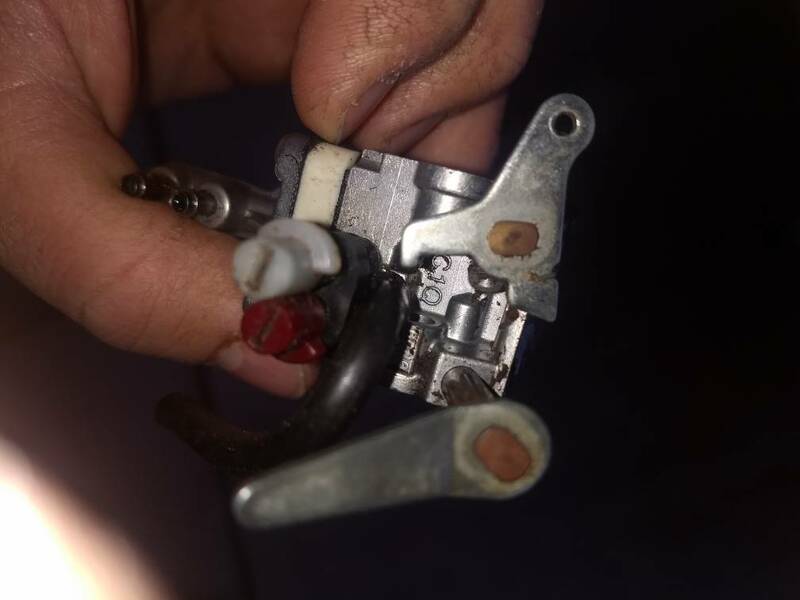 I just went through this same problem a few weeks ago on a super 2 I repaired for a guy. Saw ran terrible even after cleaning the carb. Chased the problem for hours....then I checked the oil tank and the duckbill valve was laying in the bottom of the tank. Reinstalled it and the saw ran like new!!! Thanks. Duck bill is on the oil line, maybe wasn't hurt to replace. If I start the saw and spray carb cleaner on the spot where the carb meets the block, it will flood and die. Does that mean I have a vacuum leak there. Thinking about buying a vacuum tester, but haven't bought it yet. 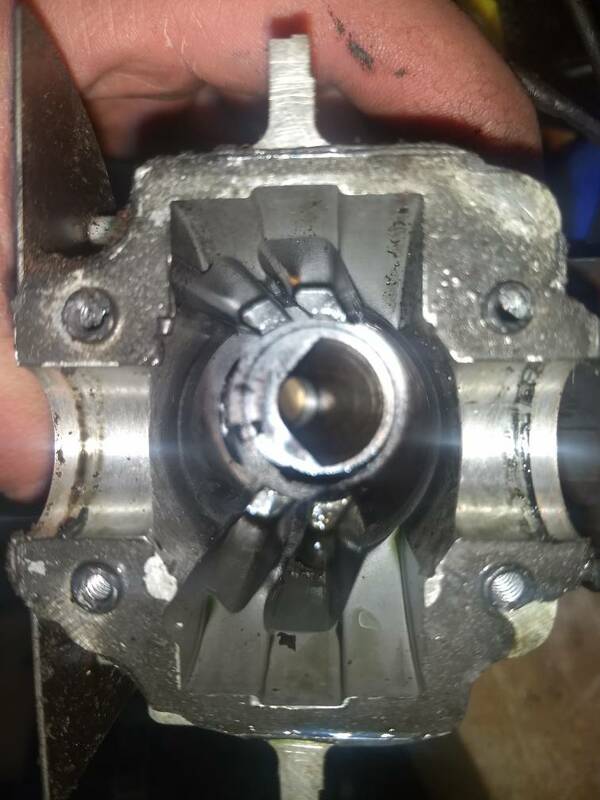 Did you replace the two gaskets? Not yet, is what I described a sign that those need to be replaced?